The thing is, I don't know where to start. 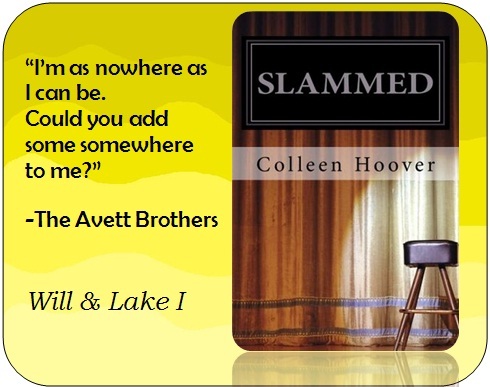 My thoughts are pretty messed up and my feelings are heightened after reading Slammed. Hmmm...where to begin? Well since before I started reading I am unaware what a slam is, I'll be giving you an idea what it is. Now what does a slam has to do with the story? Layken or Lake, as her mom called her, left Texas together with his brother, Kel, and her mother for Michigan. It has been six months since her father's demise and they're sort of in a financial predicament that prompts them to leave their town and start a new life. The idea of leaving all the memories her father has made in the corners of their once house plus starting her senior year in a new environment makes the decision totally unwanted for Lake. But what if having a guy who is totally good-looking, smart in every way, swoon-worthy type male, happens to be your neighbor, can Lake still manage to carry all the negative baggage she has been dealing with? Will has been both a brother and a father to his younger brother, Caulder, ever since that car accident took the life of their parents. He left his college scholarship to raise a kid on his own and now that almost everything is going smoothly with him having to work in an internship as a high school teacher, some girl will change his life in the most unexpected way he never thought possible. I can only have good words for Slammed. I have it in my itouch for about months now and yes I totally regret the fact of letting it just sit that long in my shelf. So if you've just recently purchased Slammed in your Kindle or if you're the lucky one to have an actual hard copy, I'm telling you wait no, I'm commanding you - READ IT NOW. Trash the better late than never idea. It should be N-O-W. I'm never a fan and will never be a fan of love triangles, I dread to read books with plot made for that and in Will and Lake's story you will be spared from that but a third party isn't what's gonna put spice in the building relationship of the two, it's bigger than that, more serious even. I'm not telling you what it is. HAHA. But if I'm the one placed in their situation, I don't know what's the best decision to come up to either. I know you're not following me in here, I'm so good I'm getting you away from spoilers HAHA. What I wanted to say is you won't be furious from having to deal with an annoying girl or guy that will test the relationship meter of the two, it's more complicated even. And that 'something' is what keeps the story from evolving. "Because every bit of it, every last bit of it is fleeting. Nothing is permanent. The only thing any of us have in common is the inevitable. We'll all eventually die." No one wants to die, because dying, as we all thought, marks the end of our journey. It left us with nothing to hold to but leave sadness in the heart of the ones we loved. But if only we have been warned that our vacation here on earth is about to end, we could have enjoyed the remaining time we have, we could have openly prepared our parents, siblings, and relatives for what's coming ahead of us, we could have helped them build a more stronger heart and mind to accept the thought that has been looming over us since our birth. And I guess, this part of the book made me love the story even more, I've been stopping in some lines and sometimes ask myself, "Am I prepared to die right now?". And all I know is I'm not. Maybe what's patting my shoulder, telling me my limit is way too far from me is the fact that I am still young. I'm just 20 but then when I thought of it, your age doesn't defy what's left for you in the world. What if God has written for you to just lived for 16 years or 25 or 30? No one knows but the good part is, He has given us NOW. Today is the chance to live your life at its best, to surround yourself with the ones you love and to throw all those negative trash bags you've been carrying all along. 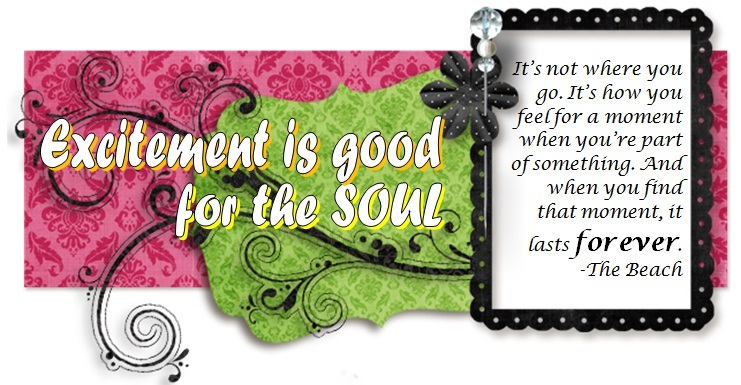 Death should only be treated as a passage way to an unending journey full of love and happiness. It is still a scary thought for me but right now I am holding to what I have and that is my life and I am sure I'll make living worthwhile. "Don't take life seriously. Punch it in the face when it needs a good hit. Laugh at it." "Never judge others. You both know good and well how unexpected events can change who a person is. Always keep that in mind. You never know what someone else is experiencing within their own life. "If you don't have questions, you'll never find answers." "Keep an open mind; it's the only way new things can get in." - I guess this one is my top favorite.